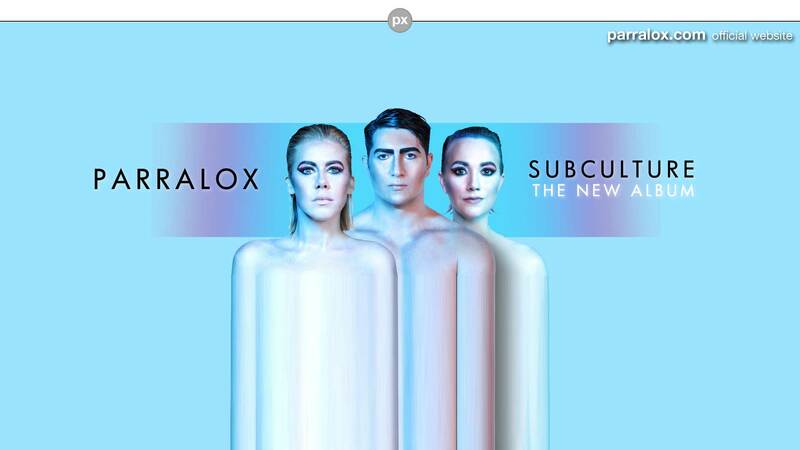 "Eye In The Sky" by Parralox marks a new era for the Melbourne based electronic pop act who are moving in excitingly new brighter directions after the release of their re-interpeted electronic pop classics album "Recovery". Having received elevated acclaim in US club culture and in the pop music blogoshpere by MTV Buzzworthy, Elektro Magazine and Arjan Writes with their collaboration with Ryan Adames on "Silent Morning", it's evident that the Parralox sound continues to resonate deeply into the fabric of the popular music landscape. For fans of rhythm-driven soft rock, "Eye in the Sky" will be a familiar tune as it was originally recorded by The Alan Parsons Project in 1982. Some might think a melancholic soft-rock track from the 80's wouldn't be the first choice for Parralox to cover, but with the song's haunting and serene overtures, Parralox were determined to breathe a new life into the song marking their change of direction in 2014. For the first time, Parralox producer John von Ahlen takes on lead vocals for "Eye In The Sky", a first for Parralox in this new era of their music. The music video for "Eye In The Sky" is a collaboration between John lbrahim and John von Ahlen. After endless cups of coffee and many late nights in John's Melbourne studio, a vision for the clip started to slowly emerge. Rather than rely on CGI and special effects it was decided to construct a practical mirror box set piece to achieve the optical illusion of infinite reflections in the music video. Fashion model Rowena Kang co-stars in the video to add an otherworldy vibe to the clip, with some scenes reminiscent of Japanese horror movie "The Ring". Rowena's unique and striking presence brings a whole new element to the Parralox clip and you'll be able to see why she has already been headhunted by the major fashion houses in Paris. Decidedly claustrophobic, the "Eye In The Sky" video captures the essence of reflection, observation and introspection. Parralox will also be doing an intimate show on February 7th, 2014 for EQ Live at The Workshop in London's fashionable Shoreditch area where new female, London-based vocalist Johanna Gervin (The Ultrasonics / X-Factor) will make her Parralox debut singing classic Parralox tracks along with new material from the band's next album "Subculture". The "Eye In The Sky" digital EP by Parralox is out now worldwide on all leading online retailers including iTunes and Amazon. The EP features new remixes from the "Recovery" album and many new b-sides with a physical EP coming out on Conzoom Records in January 2014 for Parralox's loyal international fan base.